Join the Library for a book signing featuring local Christian County resident and author Elsie Barnes Phipps. 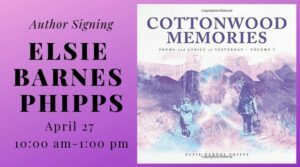 Phipps will be selling and signing her new poetry collection Cottonwood Memories. Stop by anytime between 10:00 am - 1:00 pm to chat with Elsie and get a signed book. 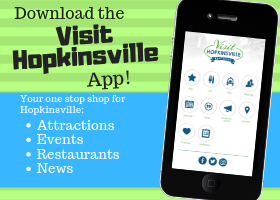 Shop til you drop at the Spring Book Sale at Hopkinsville-Christian County Public Library! 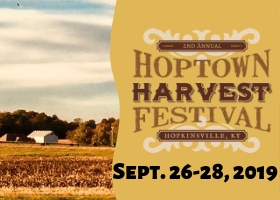 All books will be less than $5.00! 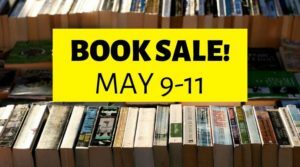 Book sale will operate during regular library hours.